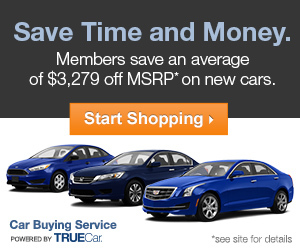 Start your next car search for a new or used vehicle with the Securityplus Car Buying Service Powered by TrueCar. Save time and money and never overpay. It’s that simple. In fact, the average savings on a new car is $3,383 off MSRP. ApplyOpens in New Window for a Securityplus new or used car loan before you visit the dealer to lock in the Car Buying Service special auto loan discount.